"I think we got a little carried away," Tesla CEO Elon Musk said of the Model X, the all-electric, three-row crossover he unveiled last month. "In retrospect, we would not have done so much in the way of features and functionality." Was it really too much? Here are some first impressions of the X. "It's the displays that really blow everything else away. Supremely crisp graphics, animations, colors, the main gauges and massively adjustable infotainment software are engrossing." 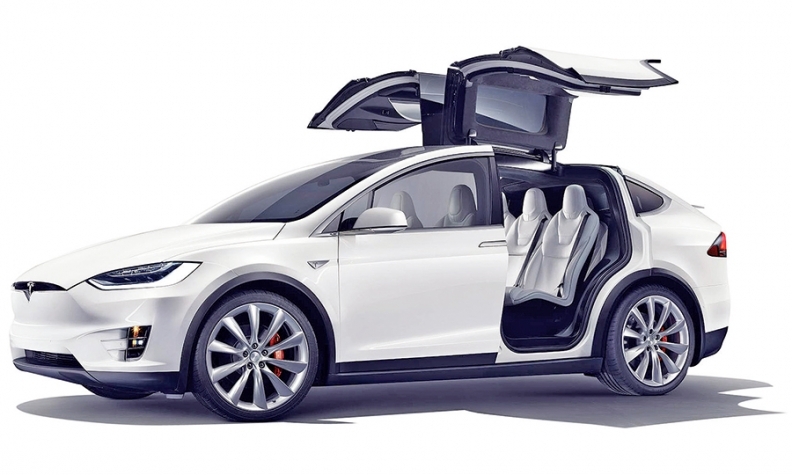 "The Model X is loaded ... with features that just seem beyond the pale of anything the traditional auto industry seemed to care about or would be willing to try." "Musk has five young children, and clearly considers the demands of hauling them all when designing vehicles." "The Model X's prohibitively expensive technology, including its low-volume aluminum construction, batteries and propulsion system, is virtually identical to that of the Model S. In other words: The Model X may hold seven passengers, but its technology and price hold no evidence that Tesla has realized critical economies of scale in design, materials and manufacturing." "Okay, yes, we've known about the roof-hinged rear doors for a long time. But we didn't know how advanced they'd be. The fully automated falconwings are hinged both at center roof spine and where the roof meets the side windows. They use a plethora of sensors, including what Musk calls the world's first ultrasonic sensors that can see through metal, mounted behind the aluminum door skins." "How does the X drive? Like the Tesla Model S on which much of the parts below the floor are based. Spear-sharp steering and governed body roll make for a grace that utterly belies the extra thousand pounds on the Model X's back."